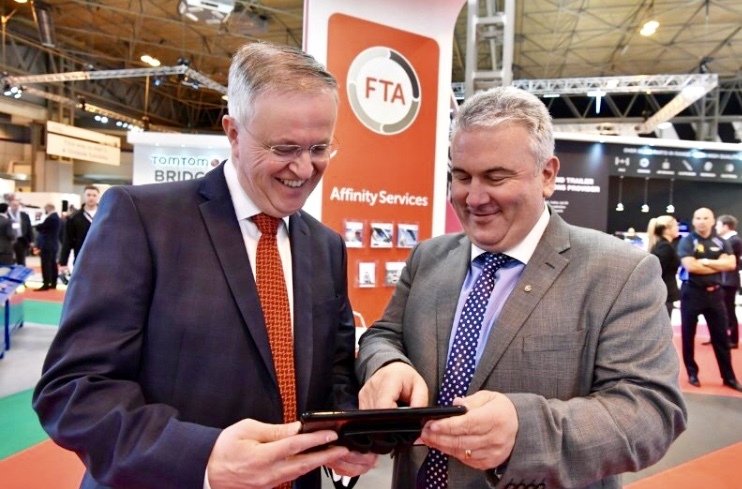 May 10th 2017 was a proud moment for our CEO, Mike Price when Tranzaura became the 5th Affinity Partner of the Freight Transport Association (FTA) at the CV Show 2017. FTA is one of the UK & Ireland’s largest transport trade associations and represents the transport interests of companies moving goods by road, rail, sea and air. Boasting a rich heritage, the FTA has been supporting the interests of the transport industry since 1889 and provides support to its members by delivering safe, sustainable and efficient logistics through representation, campaigning, compliance and training. Collectively, the FTA members operate more than 200,000 lorries and our Driver Connect solution is now available as an optional, additional benefit to FTA members both in the UK and Ireland. Driver Connect is a innovative & unique solution for the transport industry; which promotes dynamic learning and remote worker communications to ensure you can get the best from your drivers. For example improvement of safer behaviour and retention.